Online ordering menu for Canyon Pizza. If you're looking for delicious pizza in State College, Pennsylvania then you've come to the right place. 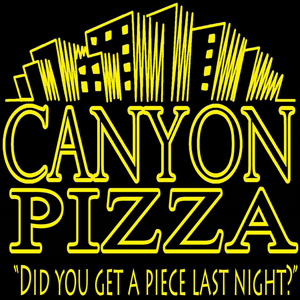 At Canyon Pizza, we serve specialty pizzas such as Bacon Cheeseburger Pizza, BBQ Chicken Pizza, and Meat Lovers Pizza. Our menu also offers Cheese Stix, Pepperoni Rolls, and Calzones. Find us south of Penn State University near Old Main Lawn and Memorial Field. Order online for carryout or delivery!